Exquisitely perfumed and enriched with sugar, the Pink Crystals & Argan Shell Body Scrub exfoliates the skin softly. While giving a smooth silky appearances. Contains pink clay, grape seed oil, coconut oil and vitaminE. Dermatologically tested. Originally from Morocco, the Kassa glove is made from crepe tissue and shaped as a Mitten, essential for in-depth exfoliation to remove impurities and refine the skin texture. Soft and resistant, its composition varies as explained below. - Sand: 70% viscose 30% acetate, double stritching – softer and more resistant. Lasts 6 months to 1 year depending on frequency of use. - Round Kassa for face as a softer texture especially adapted for the face. Lasts up to 6 months depending on frequency of use. 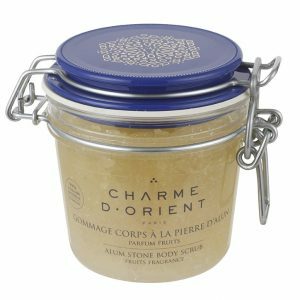 The Perfumed Alum Stone Scrub is composed with sweet almond oil, honey and royal jelly and alum salts. It gives a firming, toning and smoothing effect to the body. Leave a moisturizing and perfumed veil on the body. Dermatologically tested. 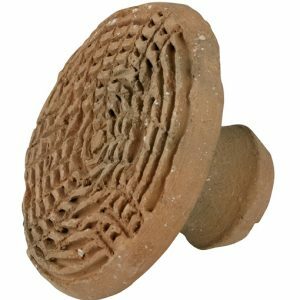 Our traditional pumice stone is made with terra cotta. Made traditionally, it is cooked over a wood fire. It is preferably used with black soap, on the rough areas on the feet. 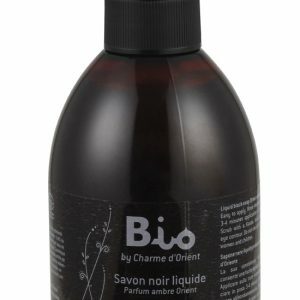 The Organic liquid black soap contains a mix of essential oils giving it a light and voluptuous Orient scents. The soap is made traditionally under the responsibility of a soap master, according to the Marseille method. It is cooked in the cauldron, with olive oil and black olives. Black soap is soft , rich in vitamin E and non irritating. 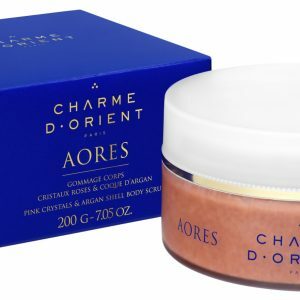 It does not contain animal fat, paraben or synthetic surfactants. Do not foam. Dermatologically tested. 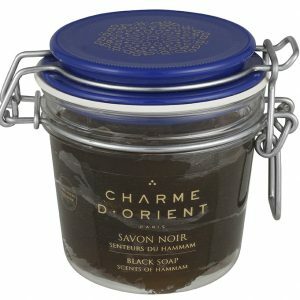 The black soap comes from the saponification of olive oil, black olives and potash. It contains Eucalyptus essential oils which has an antiseptic,antibacterial and antifungal properties. This cleansing treatment, softening and purifying, is an entirely natural substances, in the form of a vegetable and oily paste. Black soap is rich in vitamin E and non irritating. It is natural by its emollient action, it prepares the skin for exfoliation of dead cells. 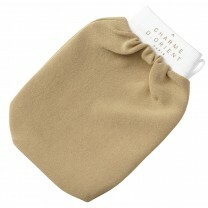 It cleans the skin and leaves the skin smooth and silky, through its hydrating virtues. You can also use it for nails for its whitening properties. Do not foam. Dermatologically tested.